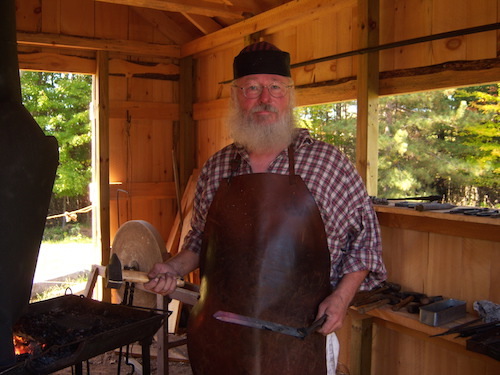 "Fire and Forge - Hammer and Anvil"
Our Blacksmith project was completed in 2009, a year-long project involving Burnett County students from Webster, Siren, and Grantsburg High School, under the guidance of a volunteer blacksmith, with much assistance from a crew of hardworking volunteers. 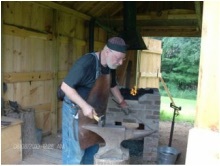 The authentic 1890's style forge now makes various items that are offered for sale in the Gift Shop. This exhibit is included in General Admission. 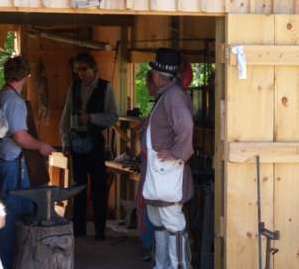 The forge is fired sporadically by volunteer blacksmiths Friday-Sunday during the summer months.